Making a House a Home: Wooohooo!!!! I'm pretty sure that this photo will not stay on my blog much longer. Joshua doesn't know that I put it up. HA! Anyway, my dear sweet son, Joshua, is a student at Liberty University and is on the Dean's List AGAIN!!! He always tells me "Mom, it's no big deal. Anyone can get on the Dean's List. Really." *I* never got on the Dean's List. So there. I am just super excited for him (AGAIN) and wanted to shout it out here for all y'all to read and know about!!! Now... enjoy this post for a bit... He just may ask me to take it down later!!! way to go Josh! I never made the Dean's list either. We will be up there Father's day weekend. Maybe we can catch up. what a handsome young man.. he will make a good catch some day..
Congratulations all around... it IS a very big deal! Good for him! Handsome, guy, too! Congrats to him, I'll bet you're proud. That's pretty cool! 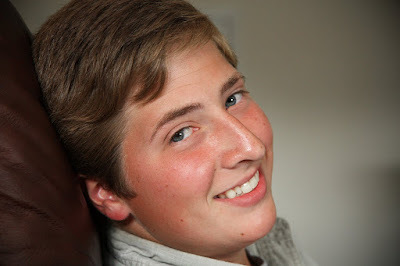 I recently bragged about my college aged son's 4.0 GPA on my blog. Wasn't sure what he'd think of that either. He has the same reaction "No big deal!"